Martial Art and it’s expansion, Battlefields is a two person card game from Spider-Goat Games. Set in Feudal Japan, you play as warlords vying for control of different regions. Each player takes a supply card and then draws four battle cards. With more players (requiring another set of cards completely) the setup is only fractionally more complex, drawing two land cards but only looking at the special rules for the second. Simple really, you draw the top card from the lands deck and place it face up. This will show you the region the warlords are trying to capture. Some of the cards have a special text, which gives the locations and lands a feel for the hardship of the battle in a narrative way, such as Kanbara which is covered in snow – the player with the highest strength card must discard a card… its taken it’s toll to win this battle, on account of all the freezing weather. Each player then commits a single battle card, face-down to the battlefield. When they are happy with their choice, the cards are revealed and the special rules (if any) are resolved. Each card has a strength rating which normally determines the winner. However, some cards can be played during the battle to weaken your opponent, bolster your own forces, or kill them before they even arrive. This is where the complexity of the game really comes in: you’ll need a poker face, a strong one, to fool your enemy. You’ll also need to consider how much you want to commit to each battle – sometimes winning isn’t worth the cost, as we found out. It is a strategy in itself to decide if the prize is even worth fighting for. But fear not, you will always have the Supplies card in your hand, which has a power rating of 0 and you can never discard it. Instead, it allows you to draw an extra card that turn. Once the battle is resolved, the winner takes the land card to keep score, and each player then picks an extra battle card from the top of the pile. The first to 12 land points or 3 bridges wins the game. The core Martial Art game consists of 60 Battle cards, 12 Land cards and the rules leaflet (which is very well written). The Battlefields expansion consists of 8 terrain cards, 8 weather cards and 8 war cards, plus another clear and concisely written rules leaflet. There are a variety of cards in the battle deck. Some are simply different soldiers or troops with a power rating, whilst others are weaker with special abilities. The battle cards are colour coded, red for damaging, white for supporting and purple for supplies. Generally, there are only 2 of each card type, so if you happen to draw both you know you’ve denied your enemy. Some of the battle cards are simple yet amazingly fun and amusing to play: got a card hand of a lot of chaff? Well hope for the peasant battle card, which gains strength for each card in your hand… literally a horde of angry peasants come to fight for your warlord and they’re unlikely to be swept aside! The supply cards, those troops and specialist forces with the white border, really mix up the focus of the battle. Some, like the archer, will provide a strength bonus if you’re original battle card was strength 7 or lower. The Scout allows you to look at an enemies card hand BEFORE the battle takes place so you can see what they may play, or the Geisha, who presumably disarms your warlord or warriors enough to distract them, removing any special rules text from the card your opponent played. The land cards are not single point lands, rather they can come with heavy rewards, such as a land card worth 4 points, such as Kyoto. In such battles, often the supply cards can fall fast to try and lever the battle in your warlords favour. The fact that 12 land points or 3 bridge points can win the game means an opponent can lose sight of the bridges score, allowing you to sneak a victory by capturing all the choke points across feudal Japan. And it gets better – with the recent Kickstarter completing, the second printing of Martial Art is now complete, with an expansion simply called Battlefields. The Battlefields expansion brings persistent weather effects in the form of land cards, and terrain cards to better exploit your opponent or bolster your own forces. Some of the support cards have also been modified to emphasize the war off-pitch, such as Geisha influences and other nefarious and cunning medieval tactics. Why did I back this on Kickstarter? The art. Originally I saw the cards and was entranced by the artwork, which is all taken from historical documents. There’s nothing more atmospheric to a gamer set in feudal Japan than the actual artwork of the time. Colourful, beautiful and utterly alluring, you could spend a fine moment appreciating the detail and energy each picture offers. That aside, I wanted a game which was quick to play, easy to transport and simple enough for even a novice gamer to pick up and play. Martial Art does this. It took us minutes to understand the concept of the game, and it cost us in headaches and frustration when we realised, one at a time, that we had just played the wrong card, or failed to exploit a weakness. All that aside, the price tag was good too. To buy the game now, direct from Spider-Goat Games will cost you $22 for both the core and expansion combined (or more if bought separately). I think this is worth it, for a game you can pick up and play in a coffee break with your elderly grandma or novice player. Can you stretch to get two of each? I think it’s worth it. For a card game it might seem as little expensive, but for a 4 player game of this sort you’re going to get a lot of use. No doubt I’ll update you all at the bottom of this article in a few weeks telling you about the fun times we’re having! Spider-Goat Games are cool because they have a little blog on their site about their Kickstarter antics, highlighting where they went wrong and what they have learned. For me, this is a great way of touching upon the minds of the gamers because it shows them to be human. We can also all learn from each others mistakes, a concept which we at Creator Consortium are always keen to express. Martial Art and the Battlefield expansion combine a great game, but even if you can only get the core game, it will keep you going to hours. If you can stretch yourself to get two copies of each, you can battle it out with up to four players. This would make each game last a little longer as each warlord gazes across the table in suspicion. Play some soundtracks from Total War: Shogun or The Last Samurai and you’re at the gates of nerd heaven! You can buy the card games here. That’s all from me, let me know what you think. Did this article help you decide to try it out, or not? We’d love to know! I first mentioned BattleScribe in this article, briefly and frankly I think it deserves far more than a mere mention. So here it is, my closer look at the free army builder for nearly every war game out there! I’m a lazy gamer when it comes to war games. Often I forget to bring or just haven’t bought the hard copies of the books that I really do need to play the game. Often I just borrow those belonging to my friends, and more often than not they never see them again for several years as they gather dust. But now, I’ve found something amazing. 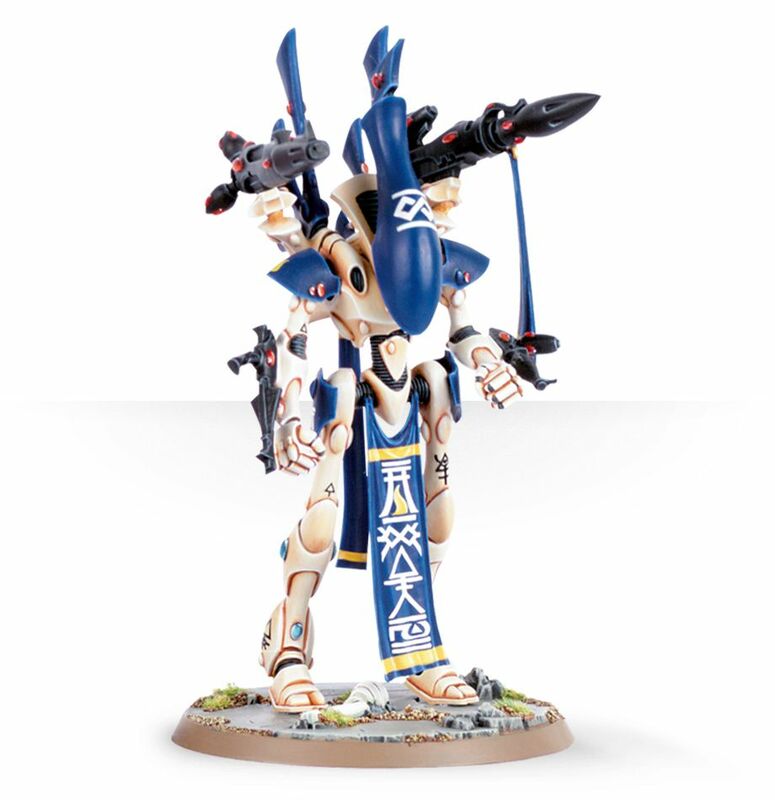 Something so great that it will blast the dust away from my bookshelf, shoot laser beams from the eyes of my wraithlord and generally add the power of the god-emperor on his relic throne to every aspect of my wargaming. I’m talking about BattleScribe and I’m talking about Games Workshop’s Warhammer 40,000. Warhammer – all of it, from just about every age and era! There’s something for just about everyone. Now, I can’t say that I’ve used much in the way of similar programs, but the ones I have seen are poorly maintained, have hidden pay schemes for some or all content or just don’t have the scope to cover everything war gaming. But BattleScribe has it all. I’m just getting started. Can you tell? I lied a bit – there are parts of BattleScribe that you can pay for. But this really doesn’t diminish the value of the program if you use only the free version. I think that after a couple of uses you may be tempted to even throw some spare money their way as a thanks for making your life much easier. I’m terrible at flicking through the book and understanding how armies come together, detachments and points values, layers of this and that, the colour of the banner under a martian moon, etc. This feisty little program does all that for me – it even tells me if there’s something missing, if I’ve over spent on points, how many command points I have, what I need to eat for breakfast the week before (actually, my mother does that but she’s just as thorough too). You want that list but can’t stand squinting at a screen like a cyberpunk mole? Yeah me too – BattleScribe can export your files as text and HTML. I believe the phone app for android also does PDF. So you can print out your army list, with options for including rules, points values etc. You can share the data using URLs and they can be linked to Dropbox – I don’t ever have to pack a book ever again! You can use BattleScribe on just about any modern platform, from desktops to phones, all makes, and versions. Finally, according to their website you can update and edit files if you spot mistakes. Using the Android App, it can be a bit fiddly when you first use it, and it does take a little bit of time to learn how it functions and how to edit your choices, such as war gear, detachments and commanders etc. Once you pick this up, and it is fairly intuitive, you’ll be fine. I still didn’t fully understand army detachments and specialist forces, so it took a bit of extra reading – it won’t tell you what things actually are until you select them, then it tells you what is missing. It was a bit of trial and error on coffee break. The data files are community driven – there’s a tonne of slimy teenagers and Dorito dusted nerds out there who may want to fudge the rules a little bit. 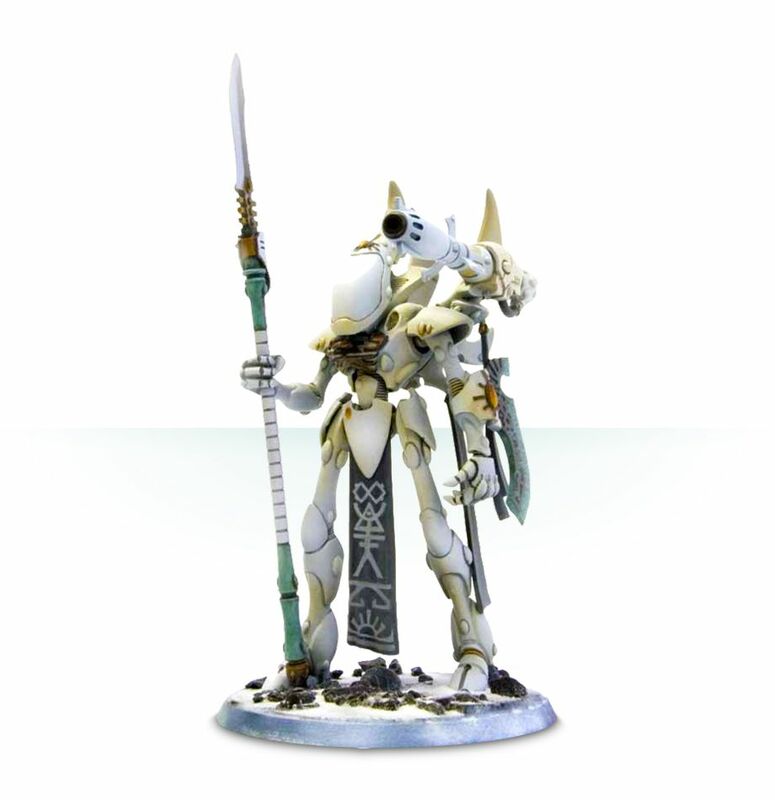 Those errors you friend found… yeah they may have just been a few tweeks to fit the “theme” of their army. There are extra features for paying customers, mostly nice fluffy stuff like saving and customising units with names, quick views, some dice tools for when you don’t have any dice or math skills and of course, removing adverts, which I have to say, always sounds worth it. So what does it all look like? Well I had a bit of a fiddle and worked an army list which I think is legal, according to BattleScribe. Here is an example of the output from PDF form, as you can see it lists everything I need to know about the unit. Other than a copy of the rules (which are brief now, thanks to GW’s overhaul) I’m covered. You’ll notice that some of the Characteristics are labelled “Characteristic 1” etc. These follow a logical order of the stat line. It’s not really a bad point or a con, but worth mentioning in case you don’t realise in a rush. The overall PDF has each unit nicely sectioned to set pages, so there’s very little run over. I suspect for something really powerful, like, I dunno, a Chaos character (?) the list may go on for quite a bit, but you’ll have to play around. Here’s the whole PDF for you to look at. It’s not my final list, but I guess it’s pretty close! Finally, the link you’ve all been waiting for for BattleScribe. So there you have it! Let me know what you think about the BattleScribe and maybe pass them a little donation if you like the work they’ve done! Join our growing mailing list here. Title Art taken from Warhammer Art (I bought a copy) – you can find the poster for sale here.